Plus, photos of the Grammy Award winner living her best life, BMX-style, on the catwalk. 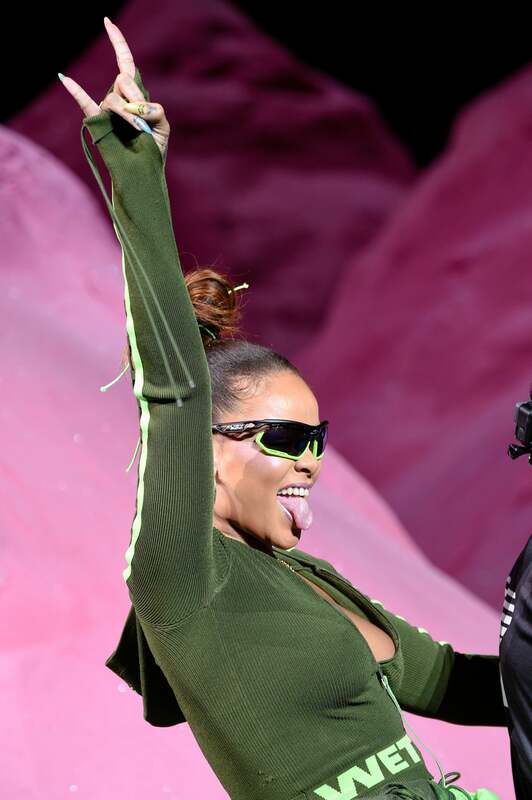 Let the record show that 2017 is the year Rihanna truly did it all. Not only does she continue to rule the Billboard charts (see “Wild Thoughts”) and create red carpet moments; the Grammy Award winner also made time to star in another film (Valerian), launch her first ever beauty collection and design another Fenty Puma line. Yesterday (Sept. 10), the Bajan baddie combined her love for fashion and beauty at the runway show for Fenty Puma, where she made sure to wear product from-you guessed it- Fenty Beauty. If you have yet to get a piece of Fenty Beauty, shop Rihanna’s Fenty Puma look below.